Last week, I had the pleasure of visiting the Armani Showroom in New York City. Located in Milk Studios within the Meatpacking district of Manhattan, the showroom was a vast space of sophistication. From the clean lines of the walls and fixtures to the unobstructed waterfront view, the space just oozed elegance. 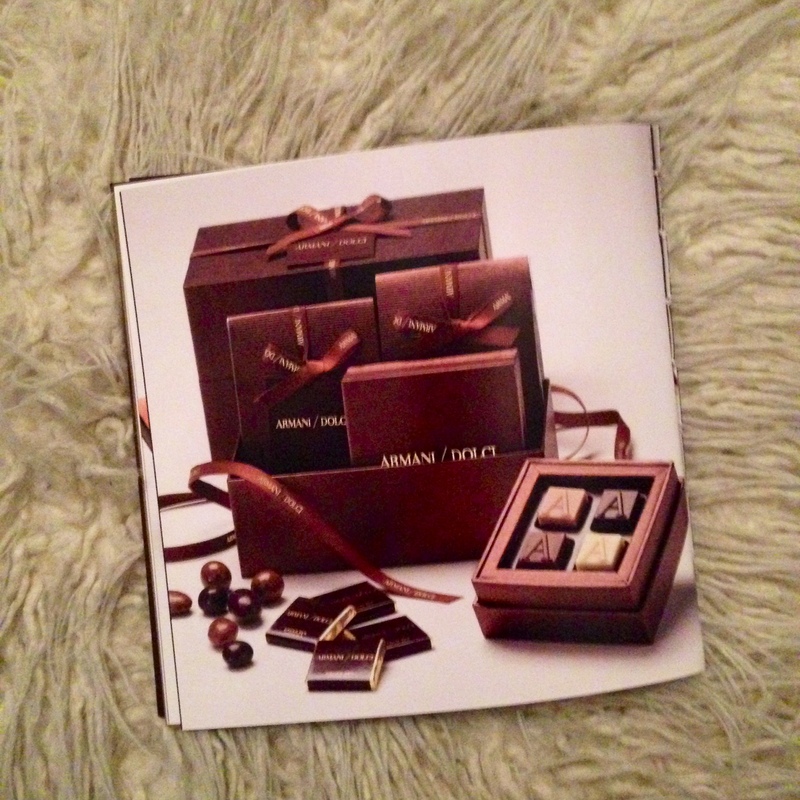 As I walked through the different collections from the Armani group, I noticed a small display table filled with chocolates and sweet goodies. … a unique sensory experience through the careful selection of the finest raw ingredients without the addition of artificial flavours, colourings or preservatives. The range of products offered is exclusive and belongs to a league of its own in the luxury confectionary market and distinguishes itself not just by its high quality but also the rich and sophisticated image of its refined packaging. 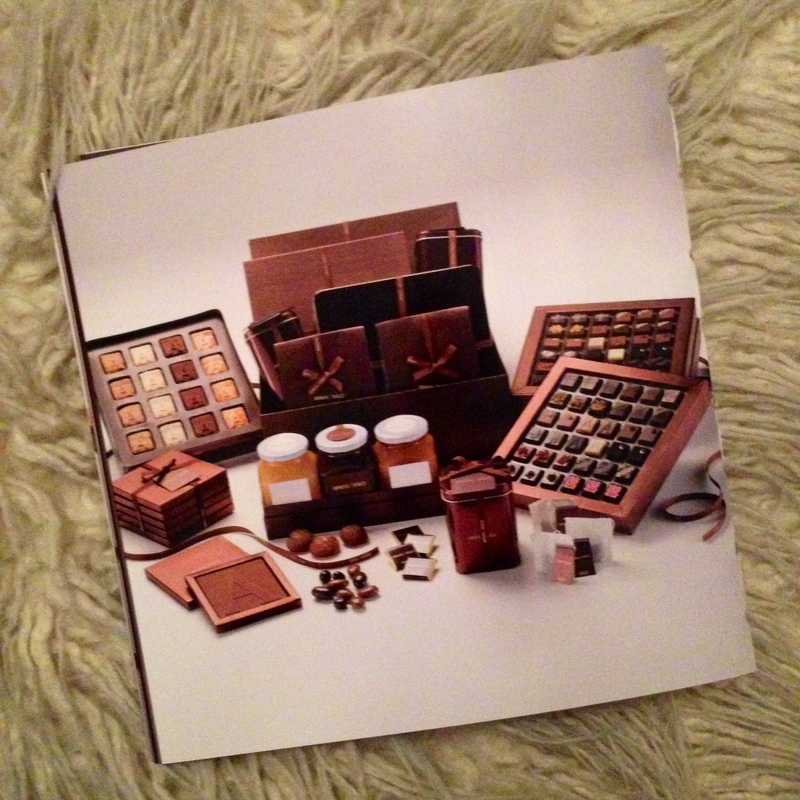 Speaking of packaging, the main colors are a deep chocolate brown and gold. The boxes are very chic and give no clues as to what to expect inside. Once opened, cubed chocolates, jars of honey, or tins of tea greet you with more simple, easy to read packaging. Some chocolates are even embossed with the letter ‘A’. 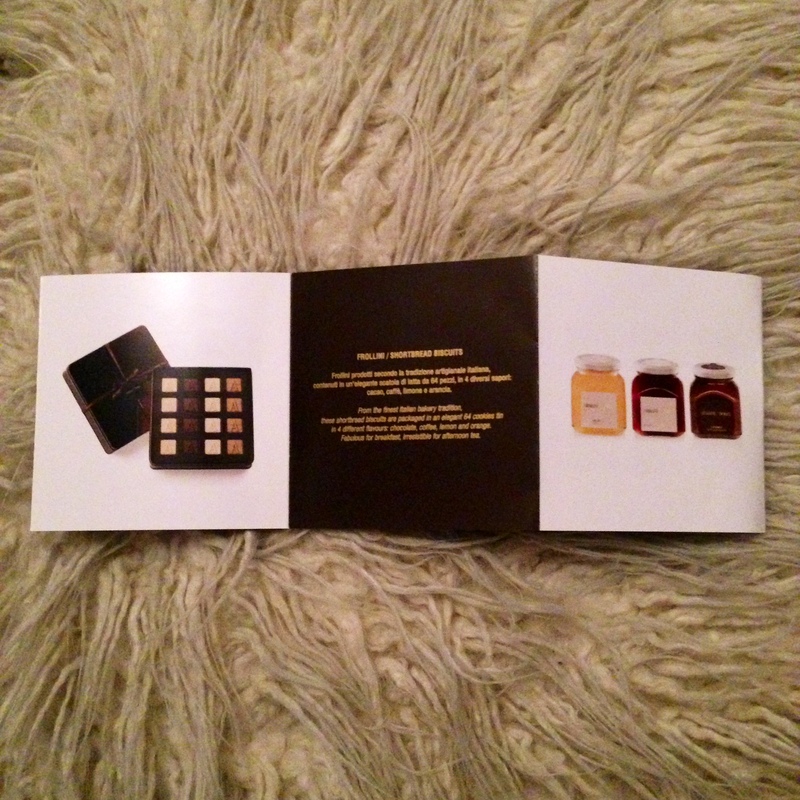 Overall, the packaging works together and keeps a cohesive flow through its products. From the boxes to the ribbon to the labels, the simplicity of it all gives it the luxury sophistication that Armani/Dolci strides for.